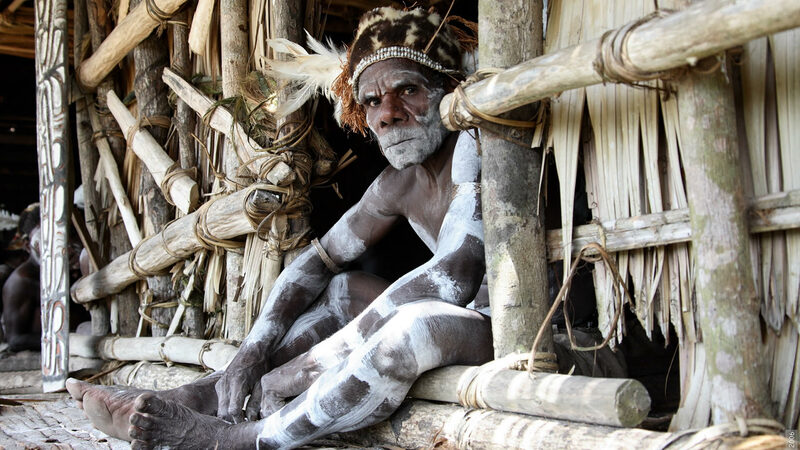 Venture into unknown West Papua to stay with the ethnic Asmat tribe. Stay in long houses in isolated villages reached only by canoe. 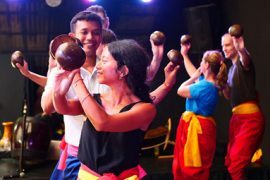 Enjoy an incredible adventure living alongside the primitive Asmat tribe, who live in secluded traditional villages along the vast system of rivers that flow into the Arafura Sea. Your tour starts in Timika. From here take an 11-seater pioneer flight to Ewer, an airstrip in the Asmat region. Now climb into a motorised canoe for the half-hour journey to Agats, the main town of the Asmat regency. There are no roads in Asmat, so the networks of rivers in the area serve as travel routes, and all the Asmat villages are located on these rivers. Upon arrival check-in. After lunch, take a walk to Syuru village and visit the Asmat museum and Asmat foundation. After breakfast, together with the cooks and helper board the motorised canoe for a three-hour cruise to an Asmat village. 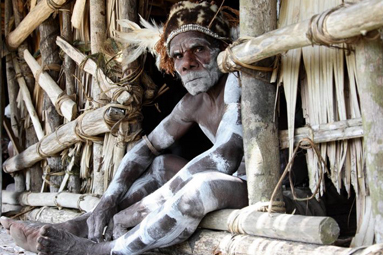 The Asmat live in wooden houses with their extended family. In addition there is at least one large men’s house in each village, called a Jeu. 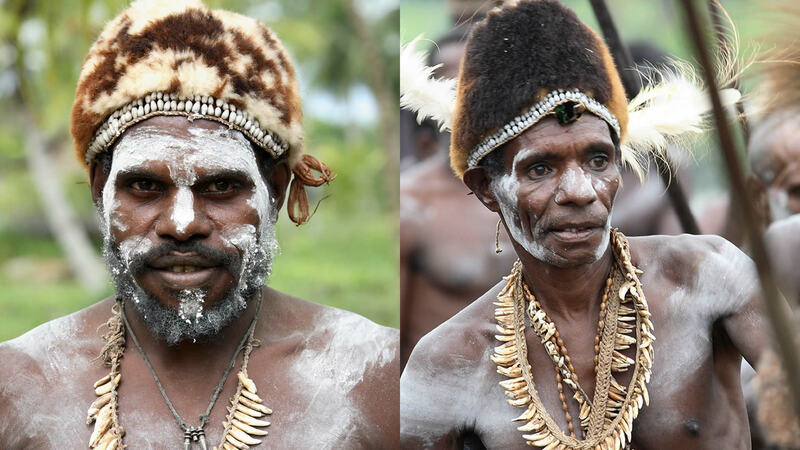 Asmat men spend much of their time in the Jeu organising ceremonies, telling stories, planning hunting and fishing expeditions, as well as carving the incredible artwork for which they are known worldwide. Lunch will be served in a traditional long house in the village. In the afternoon row with some of the Asmat tribe up the river to see the many species of birds, plants and animals in the surrounding jungle. In the late afternoon paddle back to the village for dinner and overnight in a long house. In the morning, depart by motorised canoe for a three-hour journey through the ocean, passing by the mouths of two large rivers, to another Asmat village. 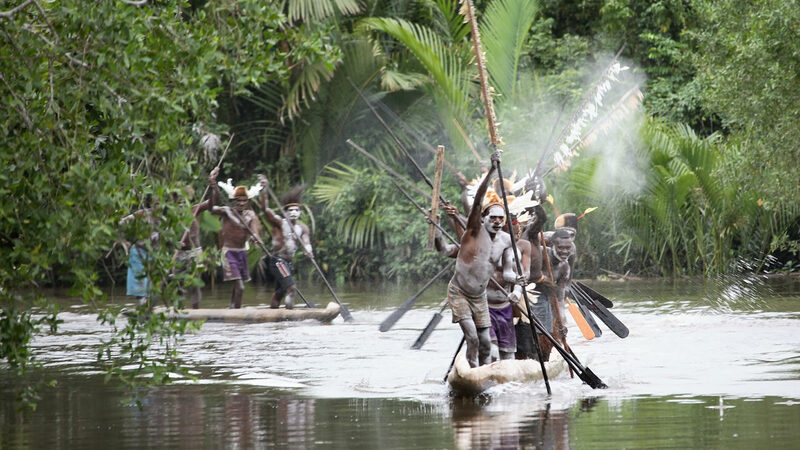 On arrival at the village you will be warmly welcomed by the Asmat tribe. 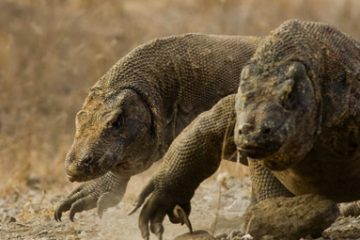 Once notorious for cannibalism and headhunting, these days they are happy to share their homes and hospitality with you. After lunch paddle or walk into the swampy jungle accompanied by some of the Asmats. Watch how they process sago, their main dietary staple. The sago balls are then cooked on coals in their kitchen. Some of the locals even eat the sago worm for protein. In the late afternoon walk or paddle back to the village for dinner and overnight. Spend the day in the village and gain wonderful insight into the culture, traditions and daily life of the Asmat tribe. They spend their days hunting and catching fish, crabs and snails from the sea. They also forage for native foods from the jungle. Their fresh water comes from the rain. 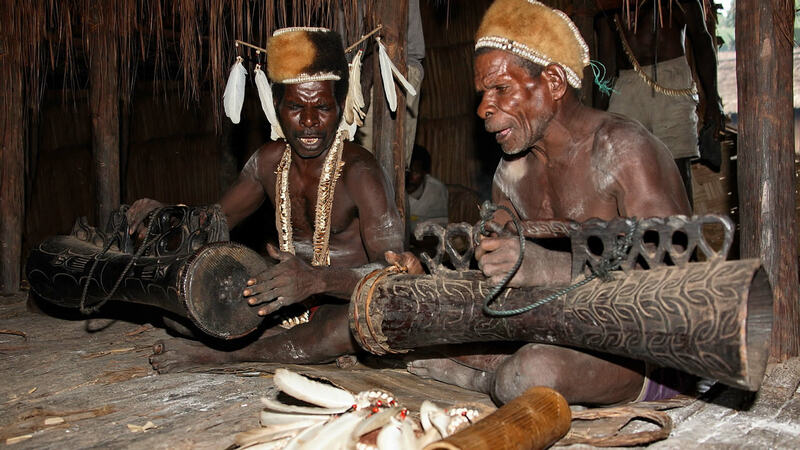 Wood carving is a flourishing tradition among the Asmat, and wood carvers are held in high esteem. They have a strong tradition of carving sculptures of their ancestors, which are traditionally displayed inside the men’s ceremonial house.The physical and spiritual worlds are constantly intertwined for the Asmat. Every carving, decoration or tool of daily life represents some aspect of the spirit world. 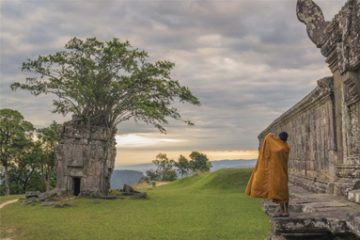 They believe that it is only when the spiritual and physical worlds are in harmony that the village will be happy and healthy. 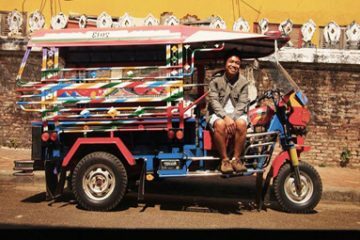 Say goodbye to your hosts and then return to Agats by motorised canoe. On arrival there is time to walk around the town. 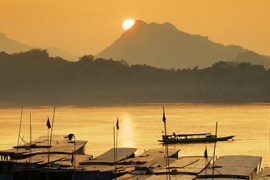 The entire day is at leisure to relax or explore more of the town. Early morning depart by motorised canoe to Ewer airport for the pioneer flight back to Timika.